In 2015, Lao PDR is virtually unrecognizable from what it was just a decade ago. A more open, more outward trade landscape has transformed the country from a closed-off backwater into a fast-growing developing country, complete with coffee shops, restaurants, and billboards lining the streets of what is now a much busier and more lively Vientiane. Rural-urban migration is underway as non-agricultural opportunities are on the rise. Importers and exporters are experiencing an increasing level of government transparency. Customs operations are nearly fully automated and border clearance times have been drastically reduced. As a crowning achievement—and after 15 years of negotiations, Lao PDR is now a member of the World Trade Organization (WTO), with its eyes set on establishing itself as an equal partner in the Association of Southeast Asian Nations (ASEAN) Economic Community (AEC). The situation has improved to such an extent that the country has become a model for other Least Developed Countries (LDCs) undertaking trade reform. Optimism is in the air, and reformers know that having come so far there is still a tremendous amount to be done. 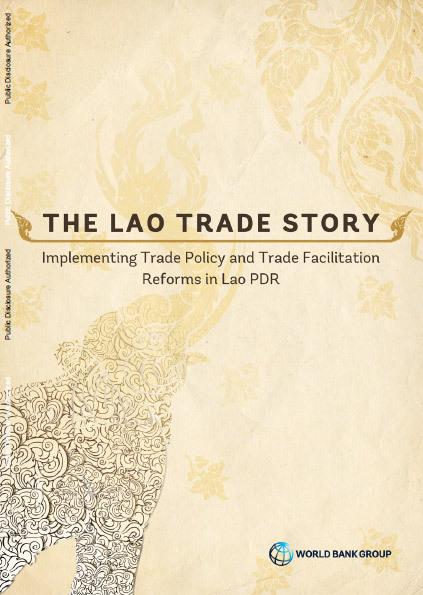 Within the context of a complex and largely incomplete transition from a planned to a market economy, the strides taken by the Lao government in the relatively niche area of trade policy reform and trade facilitation merit attention. The country still has many visceral challenges to overcome. Trade reform is much less visible, quite often not a front-page story, and rarely capable of changing people’s fortunes overnight. Rather, it is a process of deliberate, subtle changes that over time provide the atmosphere for a country to bloom, and Lao PDR is blooming. Understanding the scope and scale of reform that has occurred in order for the country to reach this point is not always easy. Without looking back over the last few years, without peering deeper into the structures that have changed, it is possible to miss just how remarkable this story truly is. What can other client countries learn from the Lao trade program? 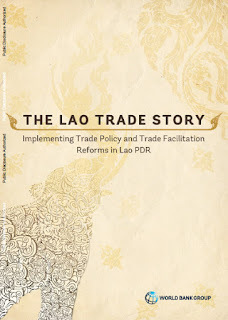 What can development partners learn from the Lao trade program? - Donor participation in a pooled approach encourages them to "speak with one voice"